15 Aug 2011, 4:47 p.m. The coaching team are pleased to announce that Alex O'Hara is to be first XV captain for the coming season. We eagerly await his first outing in the hot seat at Cranleigh this Saturday. 10 Aug 2011, 12:17 p.m.
We've launched their own range of stash. 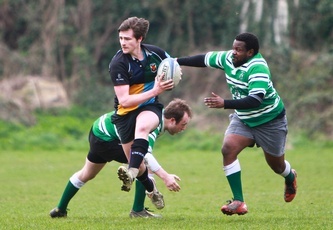 We have 2 types of t-shirts 'Griffin' & 'Hackney Rugby'. They're £20 each or £35 for 2. The tees are really good quality and look great for either playing touch or casual wear. 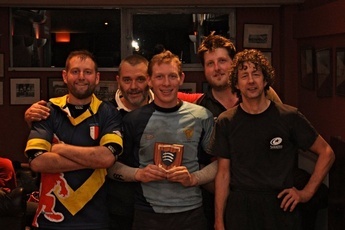 Lets get Hackney Rugby Club noticed in the local community. 9 Aug 2011, 9:34 a.m. 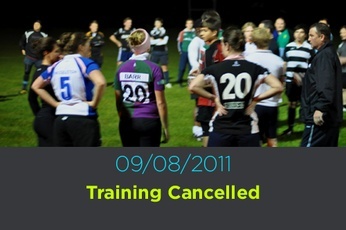 Unfortunately the training that was scheduled for tonight (09/08/2011) has been called off. The committee deliberated at length last night & have decided that, it was better to be cautious & cancel training rather than risk the safety of anyone trying to get to/ from the ground. 3 Aug 2011, 2:27 p.m. Following on from AJ & Morgan's recognition in the RFUW's roll of honour Hackney RFC were again recognized by Middlesex RFU in this year's third annual ‘Valuing the Volunteer Awards’, with Hackney RFC's Chairman John Young & President Roy Irwin collecting the award in recognition of being the Club that has made the most significant progress in the recruiting and training of coaches during the 2010/11 season. 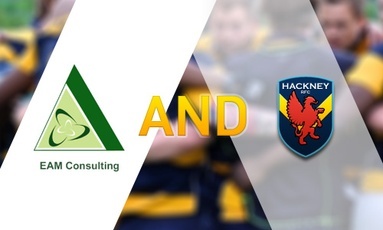 1 Aug 2011, 11:26 p.m.
Hackney RFC are proud to announce that EAM Consulting will join the club’s sponsors for the 2011/12 season.